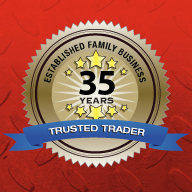 ﻿﻿We will match any online quote. At Buy My Old Van we buy any van and will consider any light commercial vehicle up to the value of £1500. We buy high mileage, low mileage vans, old scrap vans, broken vans, non runners and MOT failures. We also buy unusual vans, horseboxes, campervans, refrigerated vans and motorhomes. We offer FREE collection within a 50 mile radius of Peterborough covering Cambridgeshire, Lincolnshire, Huntingdonshire and Norfolk. 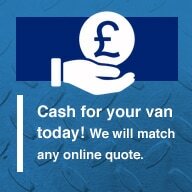 Buy My Old Van are happy to match any online quote, we pay cash and can remove your unwanted van today! It's easy... just give us a call on 01733 307 008, we agree a price and arrange to pick up your van at a time to suit you. 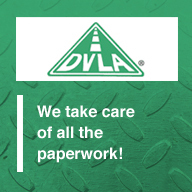 We arrive, fill out all the DVLA paperwork for you, give you an invoice and off we go! With free collection... all of this usually takes around 15 mins... oh and we pay cash! The price we quote is the price we pay and there are no hidden fees. 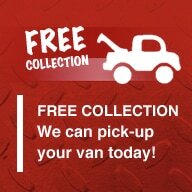 Call Buy My Old Van on 01733 307 008 and we will buy your old van today! You have complete peace of mind of where your van goes and added security that we are police checked, registered with Peterborough City Council and Environment Agency licensed. We buy: Vans | 4x4’s | MPV’s | Minibus | 4 wheel drives | Rear wheel drives | High mileage vans | Low mileage vans | Written-off vans | Classic & vintage vans | Unusual vans | MOT'ed vans | Light commercial vans | ​MOT failures | Scrap & non running vans up to the value of £1500. Call us on Peterborough 01733 307 008 to find our more. Buy My Old Van is a scrap van dealer based in Peterborough, buying scrap vans and other vehicles in Cambridgeshire, Lincolnshire, Huntingdonshire and Norfolk, covering Wisbech, Spalding, Bourne, Market Deeping, Stamford, March, Huntingdon, St Ives, Ely, St Neots, Chatteris, Boston, Oakham, Whittlesey, Oundle, Corby, Kettering, Ramsey, Holbech, Kings Lynn, Downham Market, Cambridge, Thrapston, Grantham, Sleaford, Ramsey, Littleport, Long Sutton and Soham.